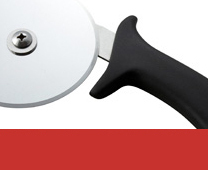 Pizza Equipment Ltd is the most experienced pizza equipment and pizza accessory dealer in the UK. 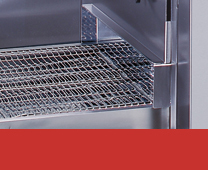 We specialise in supplying commercial pizza ovens at competitive prices. We can supply a suitable pizza oven for your restaurant, hotel, pub, or take-away, and all the other equipment you need from dough mixers to pizza pans to make pizza a success for your business. 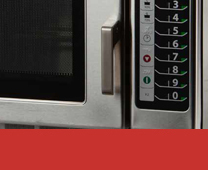 Whether you need an electric pizza oven or a conveyor oven we have the right pizza machine for you. 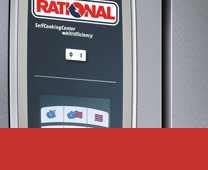 Our knowledge extends to all catering equipment from fryers to charbroilers from refrigeration to combi ovens so no matter what's on your menu we can supply the equipment you need. Call us today for our expert advice. You can also buy a selection of our products online through our secure ecommerce facility powered by Roman Cart and Sagepay. Check out this month's selected product lines below. Pizza Equipment Ltd will be exhibiting at Hotelympia from the 5th to the 8th of March. Come and visit us on stand 1730. We have pizza ovens from Moretti Forni, Forni Ceky, and Lincoln. We also have our dough mixers, and Next Phase delivery bags on display. Pizza Equipment Ltd are delighted to announce that we are exhibiting at the Takeaway Expo 2017 at Excel London on the 26th and 27th of September. We will be showcasing our Vesture Next Phase Delivery Bags and other exciting products. We hope to see you there. Pizza Equipment LTD are sending our thanks to you for your business in 2016 and hope this year has been very successful for you. We will be closed for the Christmas period from 24/12/16 and will be returning on the Tuesday 03/01/17. We look forward to seeing and hearing from you all in the New Year. We hope you have a Merry Christmas and a very Happy and Prosperous New Year. Andrew, Timea, Daniel, and Suhail. 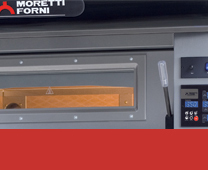 All iDeck ovens from Moretti Forni now come with a full one years parts and labour warranty to give you peace of mind when purchasing these pizza ovens. We are pleased to announce we are now UK agents for Forni Ceky wood fired ovens. These ovens are hand built in Italy by master craftsmen and are available in several shapes, sizes, and styles. We at Pizza Equipment LTD hope this year has been very successful for you. We will be closing for the Christmas period on the 23/12/15 and will be returning on the 04/01/16. We look forward to seeing and hearing from you all in the New Year. Andrew, Timea, Daniel & Damian. You can now sign up to our monthly newsletter online. Just visit our special offers page and enter your details to receive a monthly round-up of our latest news and latest special offers. Pizza Equipment Ltd is pleased to announce the 1100 series 18" Lincoln Impinger conveyor oven is now available at a permanently reduced price of £5,520 + VAT. This massive reduction of nearly £1,000 means you can now have the Lincoln Impinger conveyor oven for roughly the same price as a Zanolli or Blodgett. 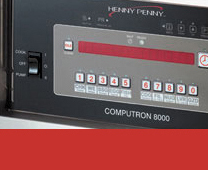 Call us today to discuss the benefits of using Lincoln. Pizza Equipment Ltd is excited to announce that we now supply wood fired pizza ovens. Made in the UK to an exceptional standard the ovens are available as wood fired, gas fired or a wood/gas combination, in four different sizes. You can find these ovens in the Pizza Equipment section or call us for more information. It is now that time of year again where we are unable to process any orders for non-stock Italian pizza ovens, dough mixers, dough rollers, or any other equipment imported from Italy. This is due to the annual closure of Italian factories for the month of August. If you are unsure as to the availability of any items please give us a call.